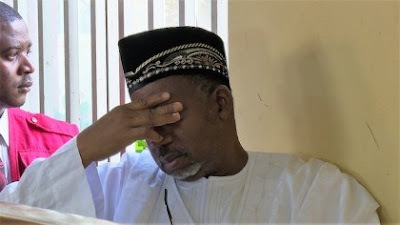 The Economic and Financial Crimes Commission says it has seized 14 properties located in “choice areas” of Abuja traced to the immediate past Minister of the Federal Capital Territory, Mr. Bala Mohammed, and his son, Shamsuddeen. The EFCC stated this in a court application filed by one of its prosecutors, Mr. Ben Ikani. The application, filed before the Federal High Court in Abuja on September 11, 2017, sought the interim forfeiture of the properties. The rest of the properties are plots of land in six different locations in Abuja. Already, the EFCC is prosecuting the former minister before a High Court of the Federal Capital Territory, Gudu, Abuja, on six corruption-related charges, and his son, Shamsuddeen, before the Federal High Court, Abuja, on 15 counts of money laundering and failure to declare some assets. The charges against Shamsuddeen involve about N1.1bn. Two high courts in Abuja had in February ordered the former minister and his son to forfeit 10 properties located in Jabi, Garki, Maitama and Jahi and other areas of Abuja.